The Access® LiteRider® Roll-Up Cover is made with the same heavy duty materials as the original Access® Cover, but with a few component changes to make it even more affordable. 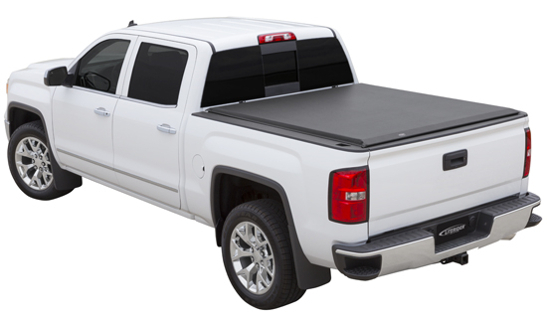 The Access® LiteRider tonneau is a value priced alternative to our original Access® Roll-Up Cover. 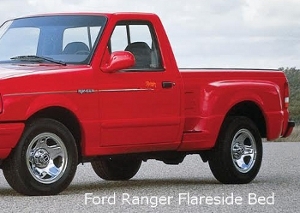 The tonneau pays for itself in the first year of ownership by boosting your gas mileage by as much as 10%! 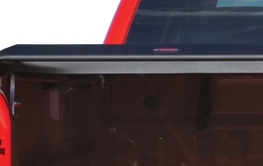 Literider® comes with aluminum mill finish bows with black rails and bars, keeping your cover aligned for a better looking, longer lasting tonneau. The Quick Clip storage straps secure your cover behind the cab with powerful nylon straps and an ultra strong buckle. Attaches Cover to bed withoutthe need to drill into truck box. Specifically cut "teeth" maintain a superior grip and exceptional strength. Easy release with the pull of a cord. The AutoLatch automatically locks when the cover is closed. 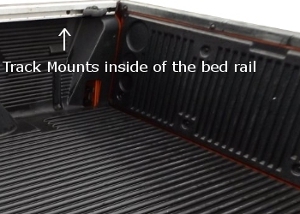 The optimal angle of the side rails were designed to provide a lifetime sealing system. The cover rises 1 1/2" above the truck box allowing for increased capacity. Patented slide lock offers additional locked protection for your cover. Push to lock, pull to unlock. 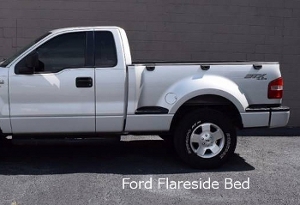 Works with a locked tailgate to give you ultimate protection.